New York, Paris, London, Milan and Berlin; fashion capitals where our team travels to learn the latest techniques and trends in hair cutting, color and style. Continued education is the key to our salon success. Each member of our team possesses a high degree of skill in their craft, which translates to a higher standard of excellence and creativity. This is extended to you, our guest, each time you visit Polished Outlook Salon & Spa. 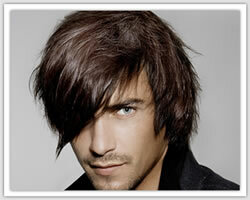 For both men and women, hair color is a sign of personality, natural embellishment and facial beauty. Whether blonde, brunette, redhead or graying, we help you find the color that best showcase your eyes, complements your skin tone and enhances your facial features. Are you looking to eliminate frizz or loosen your curl for up to 6 months? At your consultation you and your stylist will discuss the natural texture, color, and density of your hair. Your stylist will then decide what smoothing formula is best for you and will also go over what you can expect from the smoothing treatment as well as proper home care. This treatment takes up to 3 hours depending on the length and density of your hair. Your hair will be clarified up to 3 times with a GK Hair deep cleansing shampoo that will remove impurities from your hair leaving it ready for the keratin application. Your stylist will blow dry your hair and apply natural keratin that will be infused deep into the hair cuticle by flat ironing and at the same time styling your hair. The end result is smoother, straighter, stronger, shinier hair that will be easier to manage! Belinda Christophels, a creative stylist at Polished Outlook Salon, has been offering professional artistic excellence in this industry for over a decade. She began her career in Belgium and now specializes in color placement, color correction, balayage color technique, precision hair cutting, razor cuts and special occasion hair design. Her creative style has been featured in 2011/2012 Passion Hair Magazine and various fashion shows. Belinda has trained with celebrity hairstylist Nick Arrojo and received education from various professionals including Toni & Guy, Pivot Point and GK Hair. Belinda has a unique and creative ability, and enjoys the freedom to express her abilities as an artist in hair. Larry Meger, a master of his craft, he has been a hairstylist for over a decade. 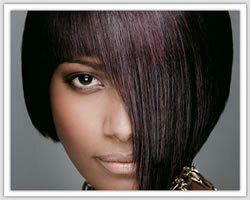 Specializing in all things color, Larry works with all hair types. In addition, Larry specializes in the Keratin Hair Taming System by GK Hair and special occasion hair design. 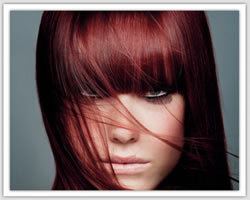 Larry's artistic eye and flair for trends enable him to enhance any person's natural beauty. He loves his profession and his clients come first…each and every time. Copyright © Polished Outlook. All Rights Reserved.